Anyone lucky enough to call a dog a part of their family knows how important it is to feed them properly with a high quality dog food to ensure a long, healthy, happy life. However, with so many different dog food brands on the market today and with prices that vary significantly, choosing what’s best for your dog can be quite a task. That’s why we’ve put together a list of the 5 reasons to choose Premium or Super Premium dog food over the cheaper and inferior food and why your furry best friend will love you forever for doing so. Quite possibly the best advantage to feeding your dog a high quality dog food, is the longevity of life it will provide for them. Among Premium and Super Premium dog food is Natural/Organic dog food which provides high quality, superior sources of nutritional substances and is easier to digest than other, non-organic brands. Choosing Premium or to a better extent, Super Premium foods will boost your dog’s immunity as well, preventing infection and other illnesses or allergies that they may contract otherwise. Choosing a high quality dog food can mean fewer veterinary visits for your four-legged friend. And fewer visits to the vet not only means your dog must be a healthier, happier dog but will also be a relief for your purse! Because Premium and Super Premium dog food uses natural and far superior ingredients ‘and’ can come grain and even gluten free, it improves your dog’s health both inside and out. This saves you money in the long run, and allows more fun and family time with your furry family member – and really, isn’t that what every dog owner wants? More natural sources of nutrients that your dog needs and a lack of nasty chemicals makes Premium and Super Premium dog food more easily digestible for your fur-baby, resulting in increased activity and a healthier appetite, as well! Because they provide only the necessary ingredients to benefit your dog and don’t contain bulky fillers, you will notice yourself feeding your pup a lot less than what you are used to in maintaining a healthy level of energy, resulting in healthier eating habits and a happier digestive system. 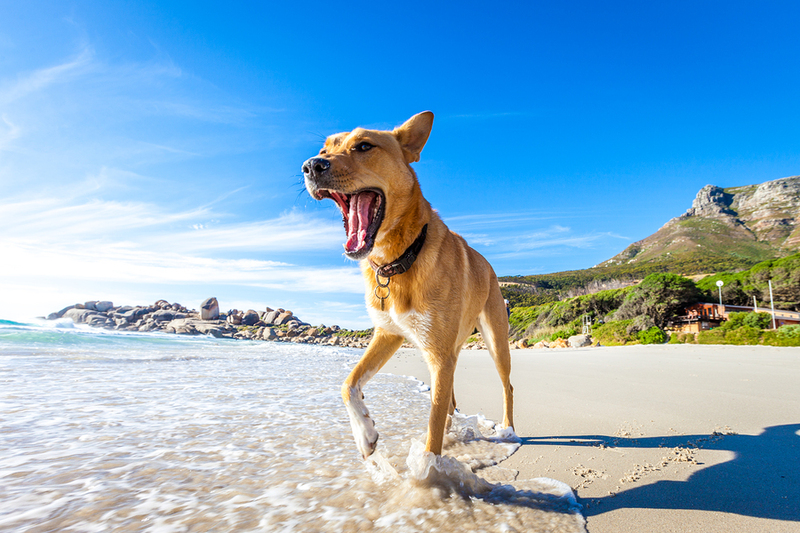 You can typically tell a healthy dog by the condition of their skin and coat; this is because a dog with a rich, shiny coat is getting the proper balance of omega-3 and omega-6 fatty acids needed to have healthy, hydrated skin. Proper hydration results in coat with a nice, beautiful sheen, as well as comfort your companion will thank you for. Potential weight loss in overweight dogs. Just as a healthier, more natural diet improves the overall quality and health of our bodies, the same is true for your furry friend! Every cell in their body is made up of proteins which are integral in developing not only healthy hair and skin, but all the muscle, organs, and tissue in their bodies as well. The natural source of proteins provided in Premium and Super Premium Natural/Organic dog food ensures that your dog, regardless of life stage, is able to build and maintain strong muscles and bones, as well as repairing any damaged cells along the way. Choosing a high quality dog food that is right for the furriest member of your family doesn’t have to be difficult – in fact, Just Dog Food makes it easy to determine not only the right dog food but the best food for your dog by splitting your options into your dog’s life stage, sensitivities and brands and provides an organised list within each to make purchasing any of the food for your dog quick and easy. Give Premium or better still Super Premium dog food a chance and you’ll see the difference it makes to your pawfect companion. Disclaimer: Advice and information provided in this article is intended to assist in keeping your dog happy and healthy. Please always seek professional veterinarian advice for any specific concerns. This entry was posted in Food, Health and tagged Greenies, Ivory Coat, Kong, Meals For Mutts, Ziwipeak. What Is The BARF (Raw) Diet And Is It Right For My Dog?